Аn indirect-control tile-twisting puzzled adventure ...with traps! 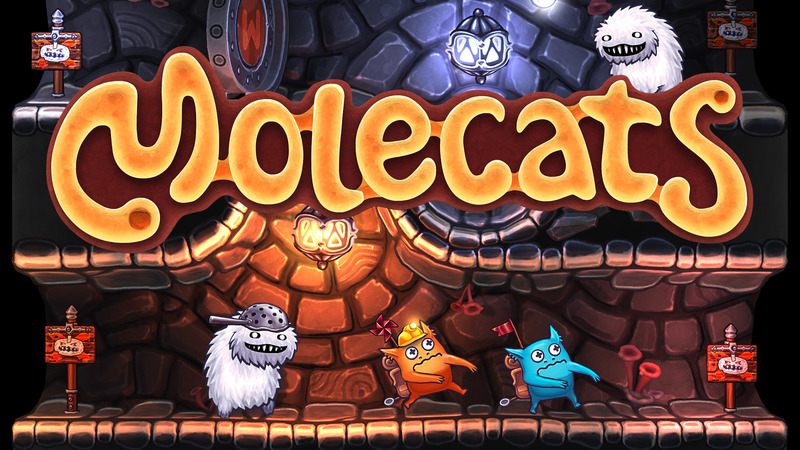 Molecats is a challenging indirect-control puzzle game that takes place in the weird and beautiful world of... Molecats! Molecats are sort of cat-mole hybrids. They are simpletons who like mushrooms, marching and go on adventures! They usually dig into nearby caves to gather delicious ‘shrooms and shiny relics, but mostly get lost along the way. Your goal here is to guide Molecats through the caves by taking control of the environment and changing the course they follow. Along the way Molecats will face lots of dangerous traps, spooky monsters and tricky challenges and meet a whole bunch of strange but interesting creatures. Indirect control based on manipulating with level tiles. Rotate tiles to make different paths; apply special powers to tiles to make Molecats run, stop, or walk in opposite direction. Simple but challenging. Pretty simple game mechanics at it’s base, but with a little twists for a challenging pathfinding puzzles. Peace! Traps and monsters, that do not kill, but rather make walkthrough much more complicated. “Nonfailure” gameplay style. You can’t actually fail a level, but you will become more puzzled, if you are making mistakes. Lots of secrets! Secondary goals in each level, trophies, mysterious unlocks, special relic collections to gather, hidden locations and secret levels with unique game mechanics.